I keep seeing people ask about it over and over, so watch from this point on to finally understand this dumb meme that we love so much. I watched for 5 minutes and guess I still missed it. @tyler-travis 43:15 - 44:02. They then proceed to bring it back up randomly throughout the rest of the show. Gotta listen to that whole Starfield conversation for context. Please just read the first paragraph or so. It's a mental awakening, not an individual person or entity. @Haru17 Even the lore is chim. @Haru17 The whole point is that EZA misunderstood it and made it into their own things. Nobody cares anymore what the actual meaning is. @Mbun I don't care that they don't care. If this is a thing, I'm going to need some sort of definition. A proper context to use it in is the whole point of a meme. 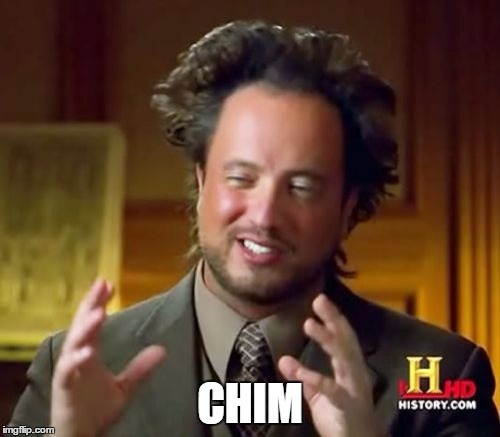 @Haru17 Then the EZA context would be that the Elder Scrolls, Fallout, and "Starfield" universes are all part of a being called Chim's dream. That's it for the EZA meme. Nothing more nothing less. I feel it would be better to link to the twitch video, since it includes chat. Which is an important part. @parasitepaladin If someone wants to hunt for the specific time for the Twitch version, be my guest, lol. Chim is now official lore of EZA. In 5 years time, there will be a bit, based around Chim. This thread must be locked posthaste, as ____ has entered the vault. @Lotias Please put this thread behind lock and key. Such is EZA law.